I’ve got a Nexus 5x, Galaxy tab s3, and an Acer laptop. 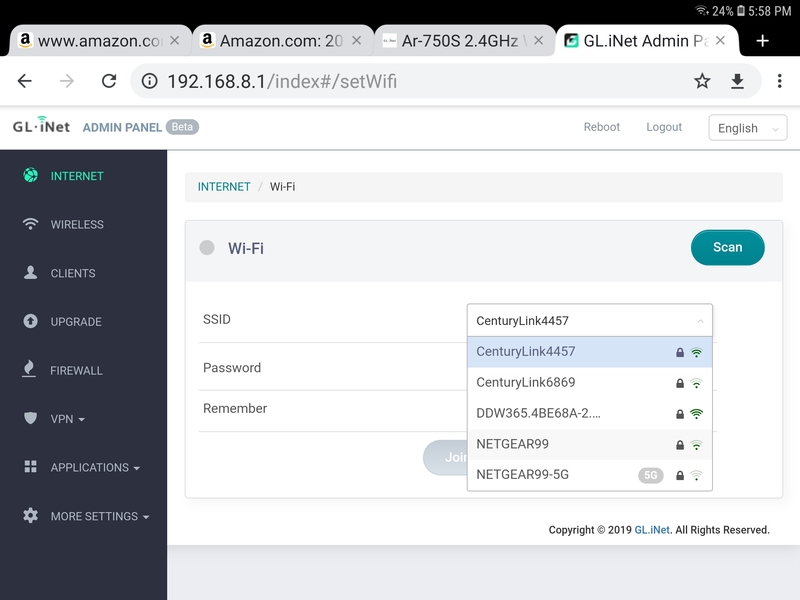 One thing I forgot to mention - if the GL-iNet device is set to 300 (HT40), and using Wifi as the WAN side, it’ll match the bandwidth of the host AP - so if the host AP is running normal channels in 20MHz, the AR750 should match it. @Exile1975 - John, is this the case here? I wish it were that simple. I’m using the ethernet for the wan/internet access. 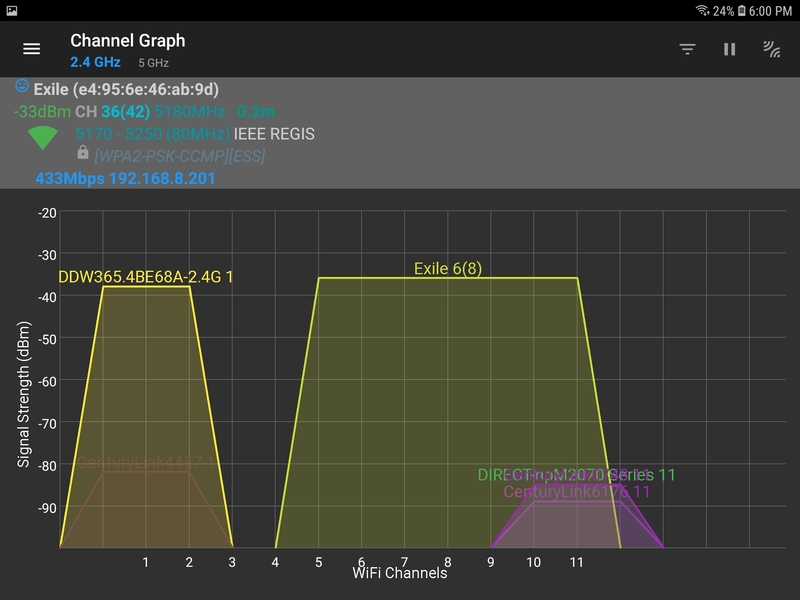 Is anyone able to confirm that the slate does in fact ever report a 300Mbps link speed on the 2.4ghz band? Maybe someone from gl-inet could look into this now that they’ve returned from their holiday? Did you try other brand router? Would it caused by your PC only support 150Mbps? Yes, i can confirm that at least two of the devices will show a 300Mbps connection speed connected with other routers. You are overlapping other channels. in your posted photo the wide channel should be disabled per regulation. I wouldn’t be surprised if the firmware in chips made in this decade are now smart enough to disallow the OpenWRT hack patch and denying the request for wide channels. I understand that you’re trying to help, but please don’t, because you aren’t. 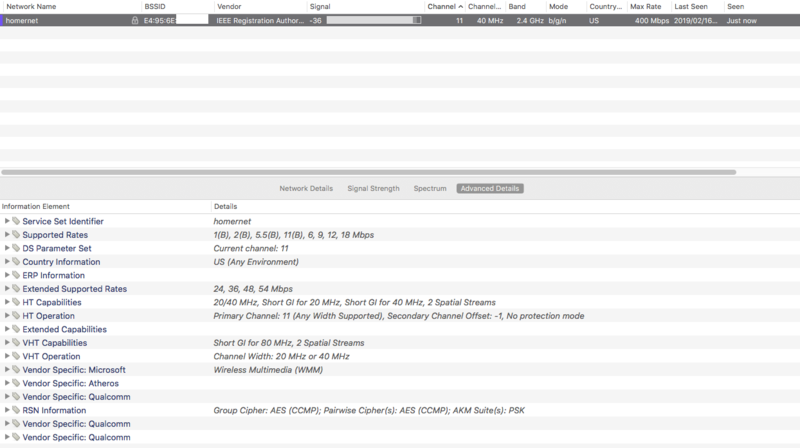 Have you been able to get a connection on 2.4Ghz that reaches advertised speeds (over 144Mbps) on stock firmware? I’ve switched the two routers so that the 750s is on channel one and the other is now on channel 11. No longer any overlap but still the same. 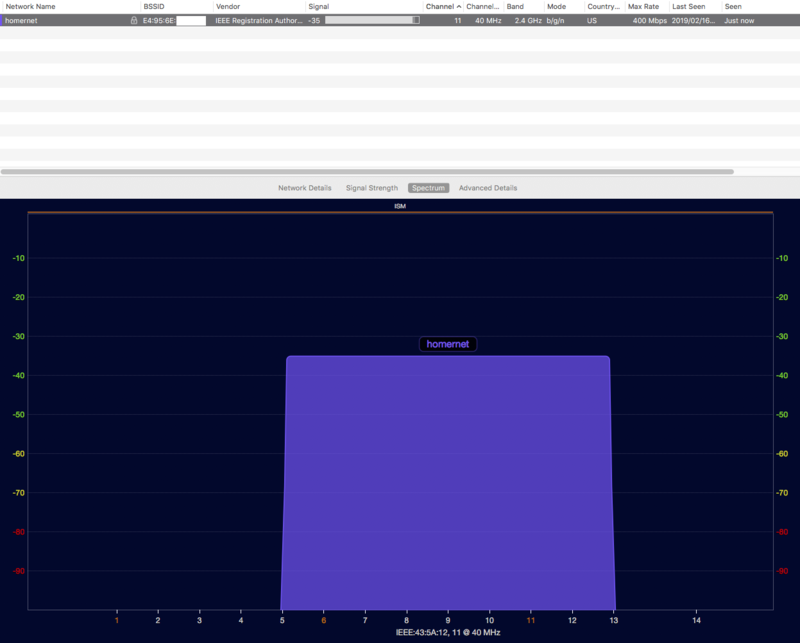 PS: it seems devices connected to my ar-750 (original) will no longer hit 300Mbps link speed either. From your posts I have little faith in your technical ability to report your supposed reality so I have great disbelief of any of your posts. If you posted technical statistics, screenshots, or actual data, my posts would correlate with that.